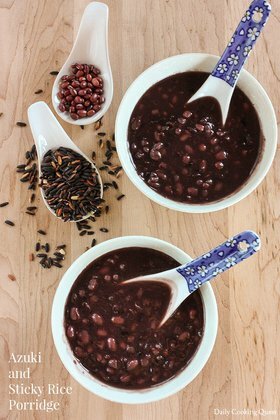 Place red bean and 6 cups of water in a pot and bring to a boil. 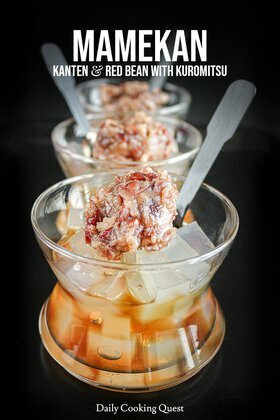 Let it boil for 5 minutes, then cover, and let the red bean soak in boiling water for 1 hour. Meanwhile, wash and drain the barley until the water is clear. Let it soak in cold water. Drain the red bean and refresh with cold water. 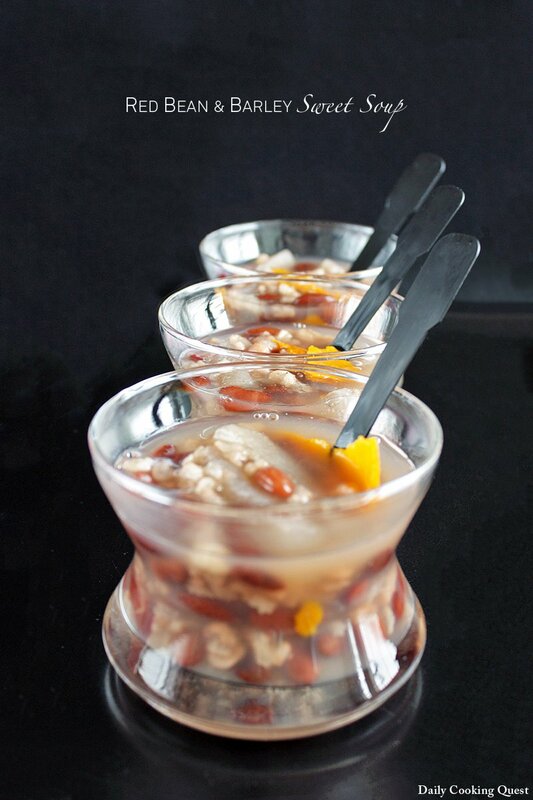 Return the drain red bean to a clean pot, drain barley and add to the pot, add candied winter melon, tangerine peel, and the 8 cups of water. 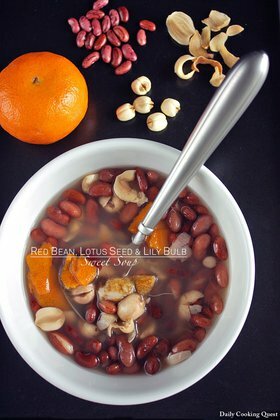 Bring to a boil, cover, reduce heat, and simmer for 45 minutes to 1 hour, until the red bean has softened. Thanks for a super quick reply, really appreciate that. And I love your website so much.... And I always recommended my friend about your website too.